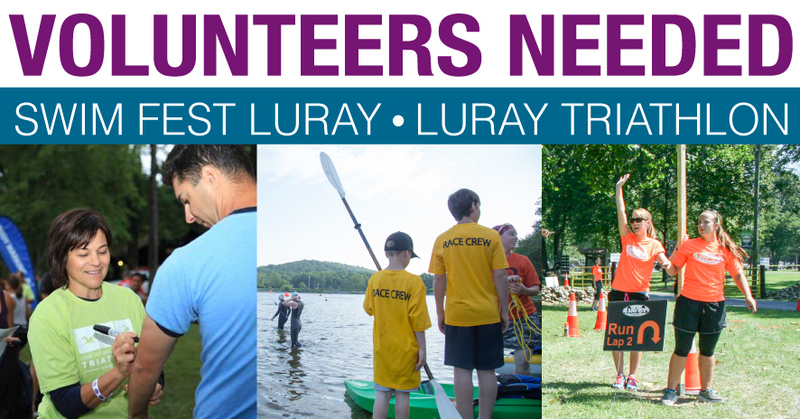 We are excited about the 2nd Annual Swim Fest Luray and the 12th Annual Luray Triathlon. We are asking for volunteers for both events. Please read below for details. FREE RACE CREW T-SHIRT: All Voluteers will recieve a free t-shirt. PLEASE REGISTER AS SOON AS YOU CAN TO HELP US WITH OUR PLANNING. Only 25 days away, Swim Fest at Luray will be on Saturday, June 17th. Volunteers include registration, kayaking, food tent, directing swimmers, traffic control, greeting finishers, set-up and clean up. Luray Triathlon will be Saturday, August 19th – Sunday, August 20th. This is a reminder of where to go to sign up. We urge you to sign up right away so we can do our planning behind the scenes. FEEL FREE TO FORWARD THIS E-MAIL TO ANYONE YOU KNOW WHO MAY BE INTERESTED IN VOLUNTEERING. If you have any questions, please e-mail me at Ken@RacineMultiSports.com or call 301-991-0461. Thanks you for your volunteerism!